Hello lovelies. I’m back. I’ve been away for a bit due to ill health in the family. My step dad took ill and I’ve been helping where ever I can. A little stressful here and there but got aome positive results back from the hospital so fingers crossed all goes well. With all the stress recently my sister thought it would be a great idea to treat me to a wee pamper session. She had learned how to do some nail art and wanted to give it a try. 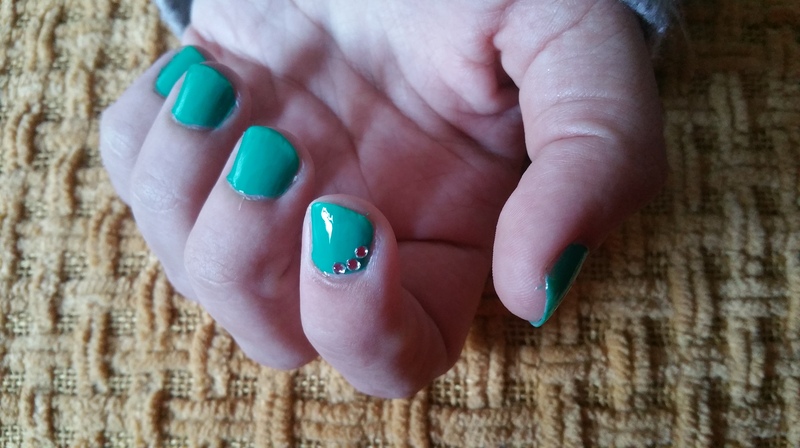 Love the simple gems on the green nail varnish. Great for spring and cheering me up nicely. 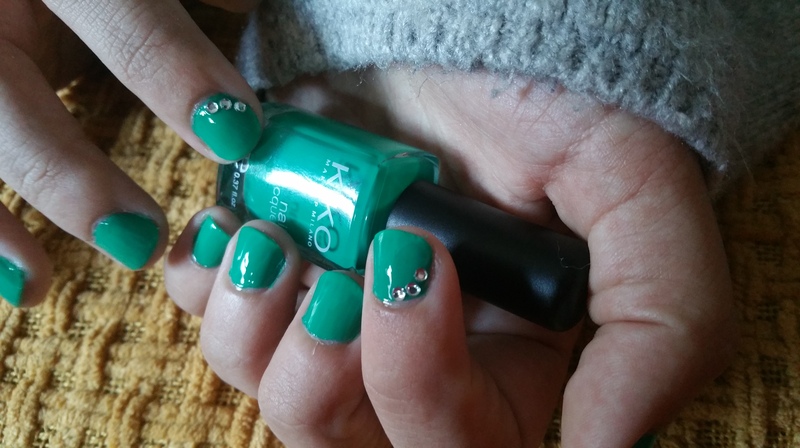 Nail varnish is by Kiko Milano Cosmetics. With everything that has happened it was nice to actually relax and breathe. Ross and me are just waiting on some news that could move things in a positive manner for us. Just need to wait. Either way it will be a big moment.